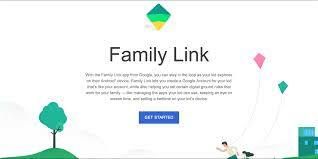 Google Family Link is an app for parents. It allows parents to monitor their children’s activities on their smartphone. They can also do things like lock the phone down during certain times of the day. Thus, you can lock the phone when it’s bedtime. Parents have to make a linked Google account for each kid. Additionally, the kid’s phone has to run Android 7.0 Nougat at least. Some are having trouble porting existing accounts into this one. There are also some bugs here and there. Otherwise, it’s an app to keep your eye on.